Which Vitamix is the Best (Vitamix Comparison and Buying Guide)! A Vitamix comparison of 5 different models and answers to many questions about buying a Vitamix blender, such as: Do I need a Vitamix? 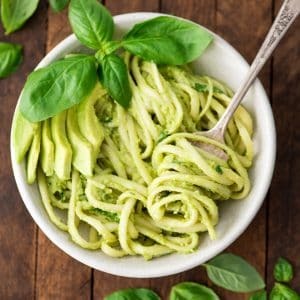 Which Vitamix to buy? Should I buy a refurbished Vitamix? 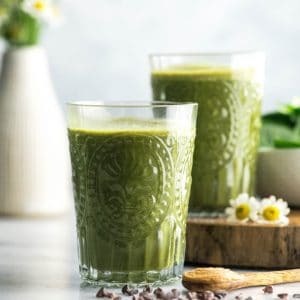 Where to buy a Vitamix? And so much more! Important note: This post is NOT sponsored. All opinions are completely my own and are in no way prompted by the Vitamix corporation. I have received many blenders through collaborating with Vitamix over the last almost 3 years. One of the questions I get asked most often is, “Which Vitamix is the Best?” Since I use my Vitamix in so many recipes, and firmly stand by my opinion that the Vitamix is the only blender a person should spend any money on, I wanted to take the time to very thoroughly answer that question, and many others that go along with buying a Vitamix. I will also discuss buying a refurbished Vitamix and give you a Vitamix comparison of five different blenders. What makes you qualified to discuss which Vitamix to buy? 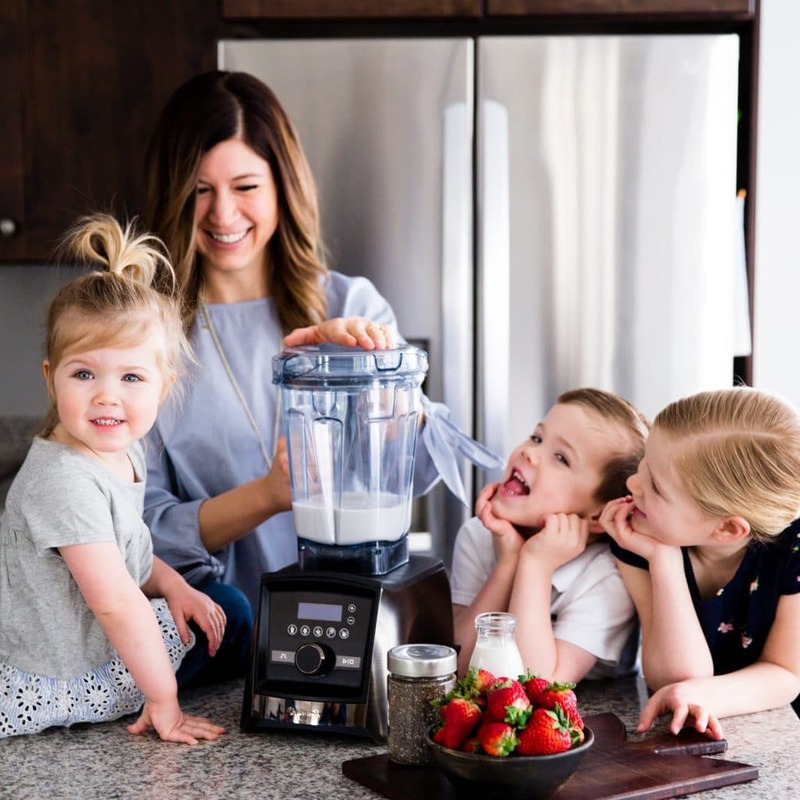 I know some of you may be asking yourself this question, so let me take a minute to explain why I think I can be a helpful resource for you when it comes to purchasing a Vitamix. I have been blending with Vitamix for nearly a decade. I purchased my first machine refurbished after my first daughter was born, primarily to make baby food and smoothies. It completely changed the way I cooked in my kitchen, and now I can honestly say I couldn’t go a day without it! I have personally owned almost a dozen different Vitamix blenders. I have worked with Vitamix on many different projects over the last three years. Many included photography of specific machines, so I have a collection of blenders that have been used in these projects. I have experience blending and creating recipes with all of them. Spending money wisely is important to me. We are not a flashy family. I do not have lots of expensive kitchen gadgets. I had to save up to purchase my first refurbished Vitamix and would do it again in a heartbeat. We agonize over every large purchase we make, and care very much about living above reproach when it comes to finances. I recognize the investment a Vitamix blender can be, and will not overlook that in this post. This post is not sponsored by Vitamix. I wanted to write this post with no strings attached. I simply want to be helpful for anyone who may stumble upon it who are wondering if buying a Vitamix Blender is the right choice for them. So this post is an exhaustive guide to buying a Vitamix blender, and in this post I will…. Discuss purchasing a brand new Vitamix vs. buying a refurbished Vitamix. Explain where to buy a Vitamix. 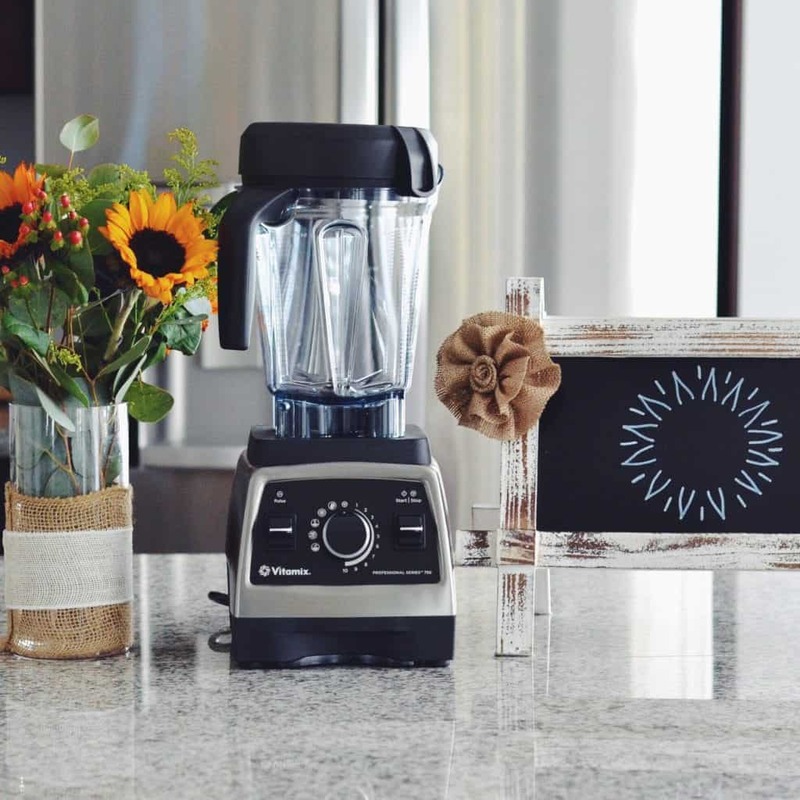 Answer many common questions about Vitamix blenders that do not fit into the above categories! Powerful Vitamix Motor. Something I would like to note at the very beginning of this post is that all in-home Vitamix blenders have either a 2 or 2.2 horsepower motor. This is so much more powerful than a “regular” blender, and I have not found a food item that my Vitamix blender can’t handle. The TAMPER. The tamper sold me on purchasing a Vitamix over a Blendtec. The benefit of being able to use the tamper to push food down toward the blade to ensure smooth and even blending every time is just amazing. I use the tamper almost every time I blend. I have used a Blendtec (my dad owns one, ugh), and I can truly say it doesn’t even come close to comparing to the Vitamix. 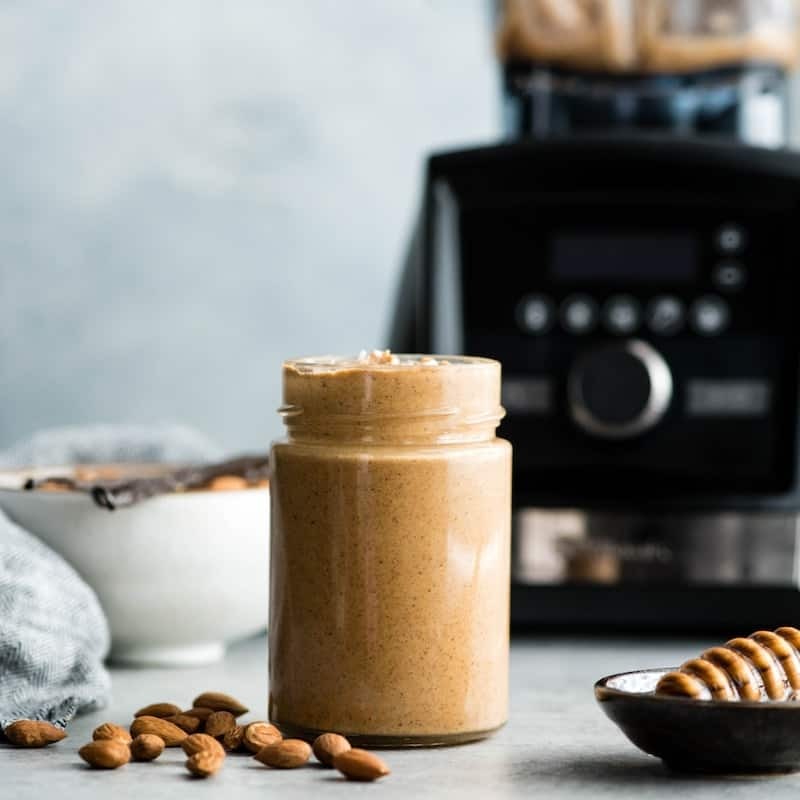 The tamper helps blend any foods that may become stuck to the sides of the container (like frozen bananas and spinach often do), and incorporate them into your blend without having to stop blending and scrape the sides with a spatula. The warranty. When I was trying to decide if I should buy a Vitamix, I realized that even refurbished Vitamix blenders come with a 5 year warranty, and some new blenders come with 10 year warranties. I knew a company had to be selling an amazing product to offer such a comprehensive and long-lasting warranty. Vitamix blenders do not depreciate in value. The final straw that tipped me over the edge from contemplating purchasing a Vitamix blender to hitting “buy” was a friend of mine. She sold her 13 year old Vitamix on Ebay for almost $300 (so she could use the money to upgrade to a stainless steel model). When she said that I was floored. I knew the product had to be amazing if someone was willing to pay that much for a very used version. Vitamix Blenders are totally worth the money. I had a sub par blender that left me with chunky smoothies and died after about 1.5 years of use…and cost me almost $100. You can purchase an entry level, refurbished Vitamix for $289 that will last you for decades (literally). There is no doubt in my mind that a Vitamix is well worth the investment. And that’s it in a nutshell, why I, Laura, realized Vitamix was the way to go. And I can honestly say I felt nothing but gratitude (read: no buyers remorse) that I made that choice every day since it first arrived at my doorstep! So let’s get started! I have created this comparison chart so you can easily access information about the five models we will be discussing in this post. 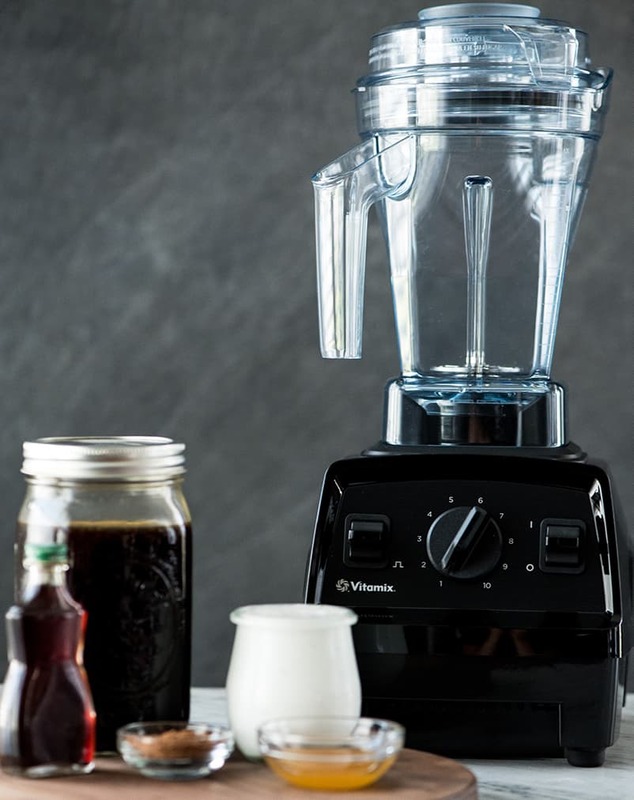 The Vitamix Explorian E-310 Blender is the most basic, classic model, and very similar to my first blender (the Vitamix 5200). This is the perfect blender for those who are budget-conscious but still want a great machine. Price. New this blender is $349, and refurbished it is $289. This is the most affordable, normal-sized, blender that they sell. Quality. Even though it’s less expensive, it is still a Vitamix. Which means that it comes with a 5 year warranty, and is equally as powerful as the rest of the more expensive models. Weight. The Explorian is the lightest Vitamix model weighing only 10 lbs. So if you will be putting it away and take it out to use it (instead of giving it a home on your counter), then that is a definitely plus! No Features/Programs. This model does not have all the bells and whistles. Which, at first, I really liked. I was super skeptical of a blender with a touch screen (more on that later), and really wanted one with actual buttons that I could flip on and off. However if you’re looking to be able to choose a program and let the blender do it’s thing, than the Explorian may not be for you because it does not have those features. Not wireless. Some of the newer accessories are only compatible with the wireless/bluetooth enabled models, which would not work with the Explorian. Color choices. There are only two color choices, red and black. So if you have your heart set on a pretty stainless or white model, you’ll have to choose a different Vitamix. The Vitamix S-30 blender is a smaller version that comes with two different blending containers, 1) a 20-ounce container that becomes an instant travel cup with flip-top lid and 2) a 40-ounce container. This blender is great for a person who is the sole blender user in his/her household. Price. New this blender is $379, reconditioned the S-30 is $249. Size. If you need a smaller blender and have limited storage space, this is the smallest of all the Vitamix blenders. Size. Size is also a con in the case of the S-30. I have pulled it out to make a small batch of baby food, sauces, or dressings, but I couldn’t make a batch of smoothies for my entire family in it. 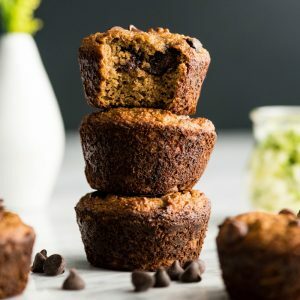 It’s also more difficult to make baked goods like a batch of muffins in the smaller container. No Programs. This model does not have any program settings. So if you’re looking to be able to choose a program and let the blender do it’s thing, than the S-30 may not be for you because it does not have those features. Not wireless. Some of the newer accessories are only compatible with the wireless/bluetooth enabled models, which would not work with the S-30. 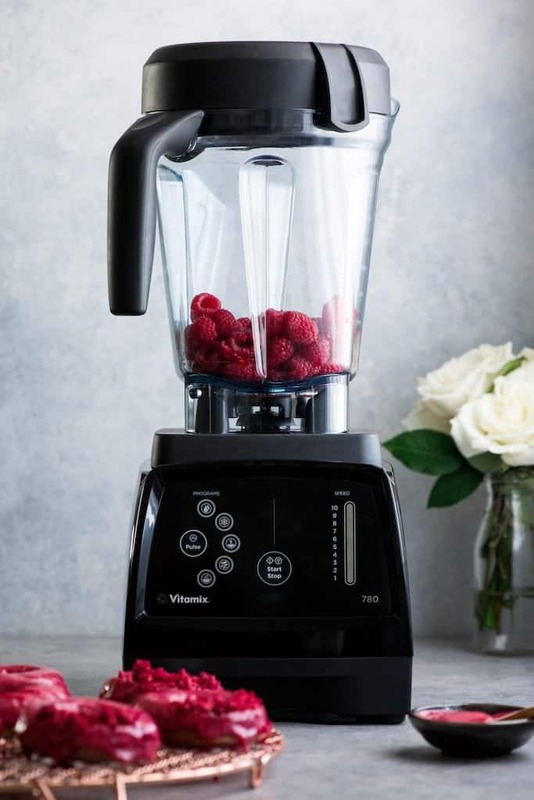 The Vitamix Professional Series 750 Blender was the first machine that Vitamix sent me when I started working with them (an upgrade from the 5200 I had been using for years). I used it for a few months every day before the sent me my A3500 (more on that below), and loved it! Power. The Vitamix 750 has a 2.2 horsepower motor, which is super powerful. Quiet. The 750 is relatively quiet blender for it’s power! Programs. 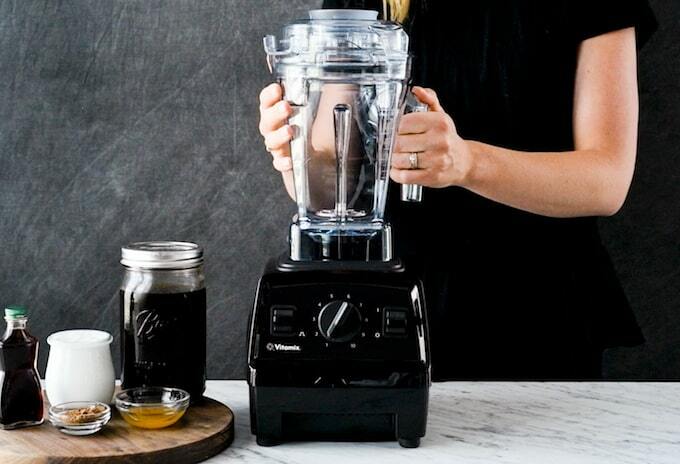 the Vitamix 750 has 5 pre-programmed settings: cleaning, smoothie, frozen dessert, soup, and purée recipes. This means you can “set it and forget it” while the blender does the work for you! 64 oz container. This is the size container I use for my family and to make large batches of baby food, smoothies, baked goods, etc. 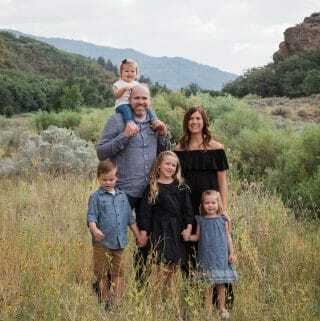 It’s a must for large families! Warranty. 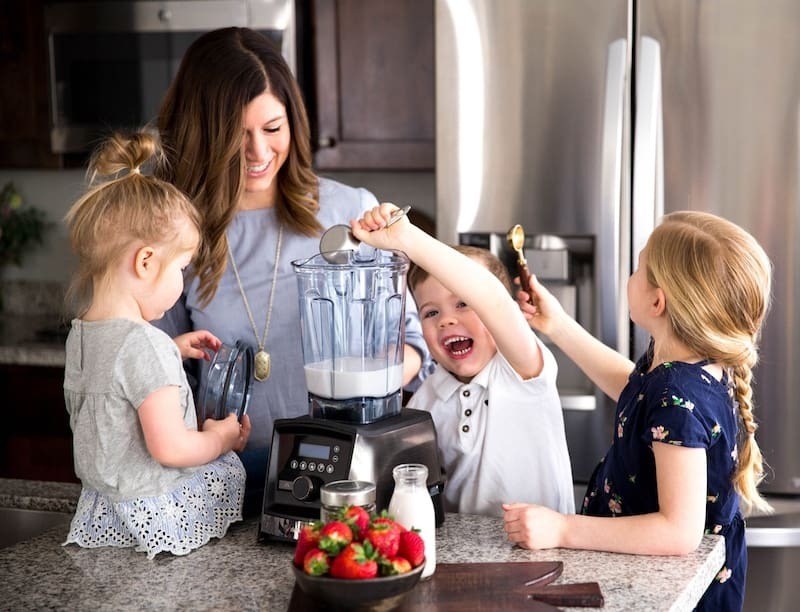 A new Vitamix Professional Series 750 comes with a 7 year warranty! Color choices. If you’re looking for a copper, stainless or black finish you can choose from any when buying this blender. No touch screen. This is a pro for some people. I chose this model because touch screens originally made me nervous. If you’re a button/switch person then this is a great model for you! Price. New, this blender is $599 (copper is $649), and there is always very limited reconditioned stock, but a Reconditioned 750 is $499. 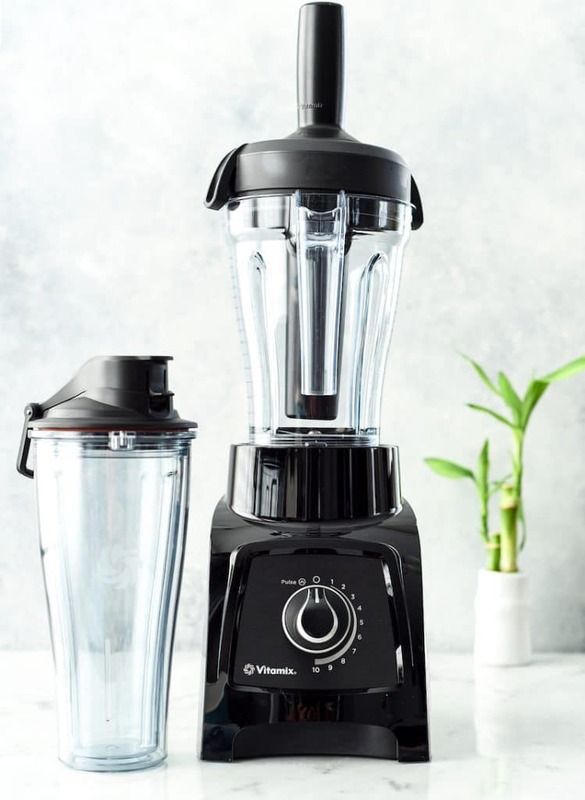 The Vitamix 750 is a step up from the E-310 for sure, with the programs and the higher horsepower motor, however it’s up to the buyer to decide if those features are worth the increase in price! Color choices. I know many people love white appliances, that is not an option with the 750. No touch screen. This is a con for the more tech-savvy consumer. Not wireless. Some of the newer accessories are only compatible with the wireless/bluetooth enabled models, which would not work with the Professional Series 750. The Vitamix 780 is a beautiful machine, and one you can leave out on your counter without compromising the look of your kitchen. Power. The 780 has a 2.2 horsepower motor, which is super powerful. Quiet. The 780 is relatively quiet blender for it’s power! Programs. 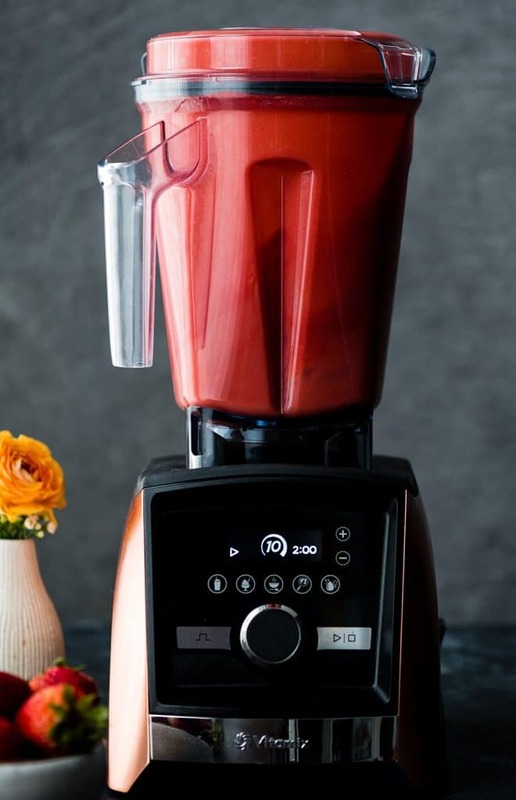 the Vitamix 780 has 5 pre-programmed settings: cleaning, smoothie, frozen dessert, soup, and purée recipes. This means you can “set it and forget it” while the blender does the work for you! Warranty. A new Vitamix Professional Series 780 comes with a 7 year warranty! Price. New, the Vitamix 780 blender is $719, but refurbished it is $399. Color choices. There are only two color choices, black and red. Not wireless. Some of the newer accessories are only compatible with the wireless/bluetooth enabled models, which would not work with the Vitamix 780. The Vitamix Ascent 3500 Series blender is the blender I have been using multiples times a day for the last two years. It is my BFF in the kitchen and I absolutely love it. It is a total powerhouse, has all the bells and whistles, is “future proof,” and looks gorgeous sitting on the counter. It’s basically the “Mercedes” of Vitamix blenders. Here are the pros and cons of the Ascent 3500 Blender. Power. 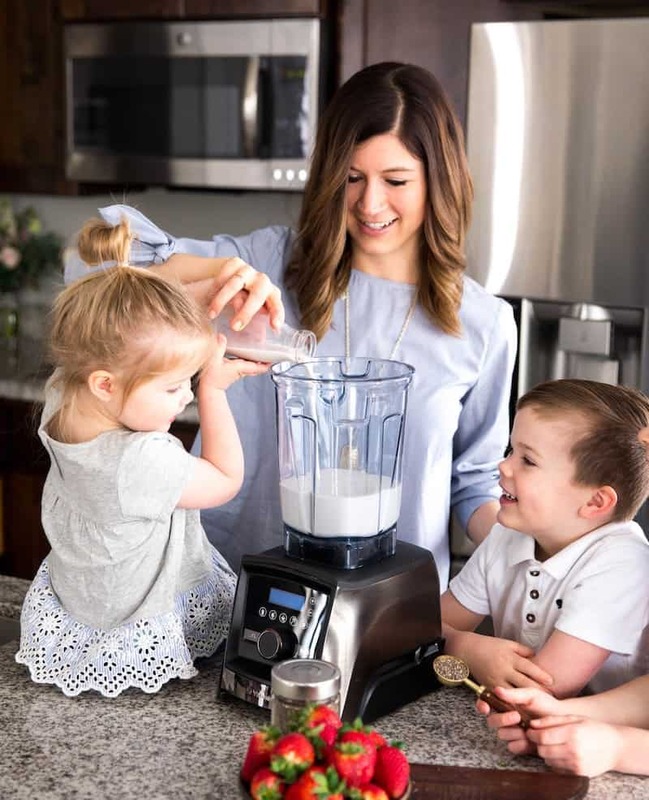 The Ascent 3500 blender has a 2.2 horsepower motor, which is very powerful. Quiet. The A3500 is relatively quiet blender for it’s power! 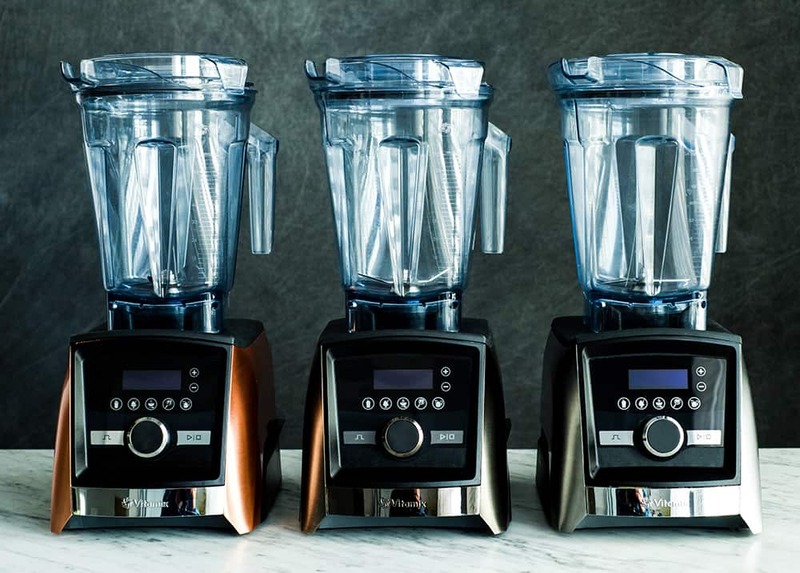 Programs (A3500) Of the Ascent series blenders, only the A3500 has 5 pre-programmed settings: Smoothies, Hot Soups, Dips & Spreads, Frozen Desserts, and Self-Cleaning. This means you can “set it and forget it” while the blender does the work for you! Warranty!!! 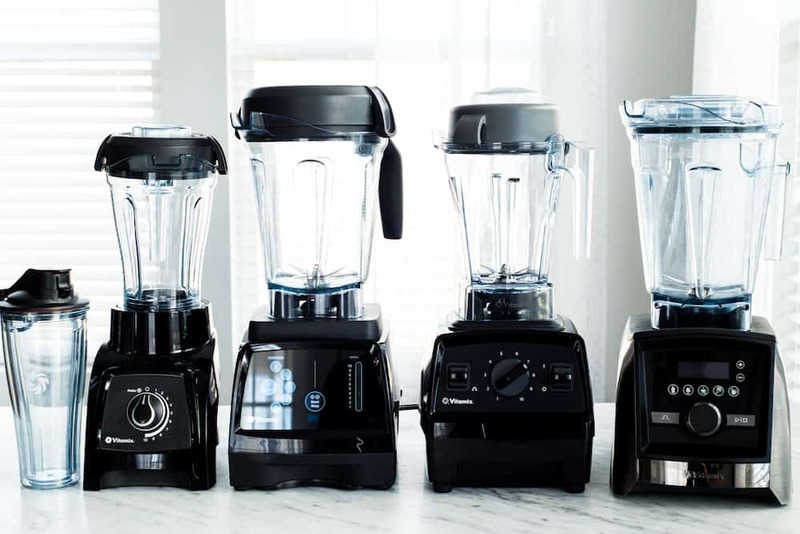 Every new Vitamix Ascent 3500 Blender comes with a TEN (10) year warranty! That is a serious guarantee! Color choices. The Ascent 3500 has the greatest choices of colors! Choose from red, black, brushed stainless, classic stainless, copper, and white! Wireless Capabilities. This is one of my favorite features of the Ascent 3500. The motor base reads the container size you’ve chosen and automatically adjusts program settings and maximum blending times accordingly. Self-Detect Containers. Due to the wireless capabilities, the Ascent 3500 pairs with self-detect containers. The amazing thing about these containers is that if you accidentally remove them from the base without turning the machine off (guilty), the machine automatically stops because it can sense the container is no longer attached. Touch Screen. Like I said before, I used to be very skeptical of touch screens. However, the A3500 touch screen is incredibly responsive. I have never had a problem with it, and it works just as good as new 2 years later! Price. New, this blender is $619-649, reconditioned models run from $399-499 (which is a steal)! The A3500, the model I most highly recommend ranges in price from $619 new and $499 reconditioned. Other Ascent Series Blenders: No Programs (A2200, A2300 & A3300): The models listed do not have any automatic program settings. Weight. The A3500 is one of the heaviest Vitamix blenders, weighing 14.2 lbs. However, if you plan to leave it on your counter (which is what I do), then you won’t have to worry about moving it around. So, Which Vitamix is the Best?! 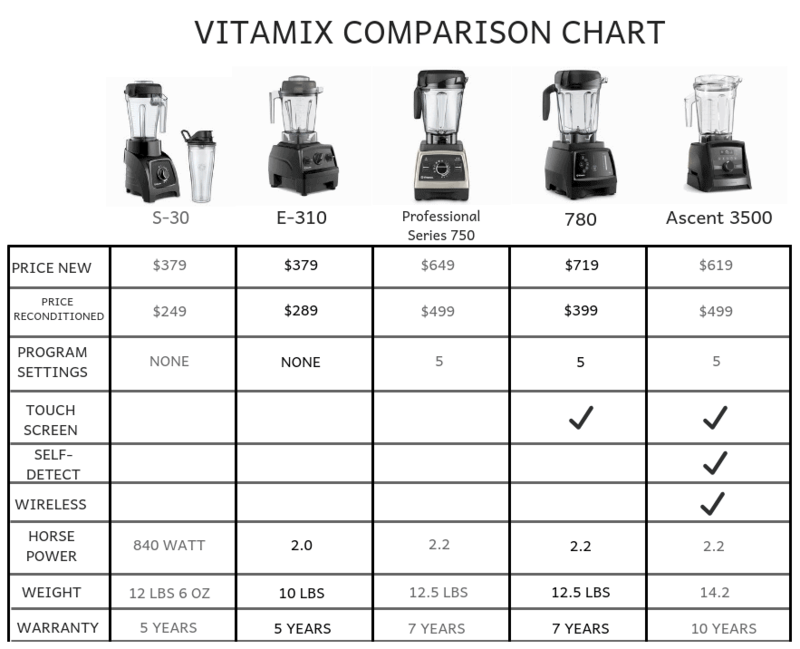 Ok, now that I have laid out all the stats for the above Vitamix blenders, it’s time for me to give my recommendation…. #1) The Vitamix A3500 Blender. When push comes to shove, if money isn’t an object and you are ready to really invest in a Vitamix, I recommend the A3500. It is lacking nothing, and truly is the best of the best of the home blending machines. I have blended with my A3500 every day, multiples times a day, for over two years and have never had a single problem with it. I love everything about it and wish everyone who is serious about blending could own one. There are six colors of the A3500, and I own three (pictured above). 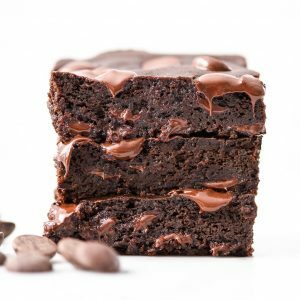 (I do freelance photography for Vitamix as well as writing recipes for them on my blog), and the Brushed Stainless is my all-time favorite. I love that it doesn’t show as many fingerprints and I just really dig the darker stainless color. If you are willing to spend more than $300 on a blender, than the A3500 is the way to go. You can purchase a Refurbished A3500 here for only $499, which is a total steal for this machine. If purchasing a Vitamix is a stretch for you financially, like it was for me when I purchased my first one, then I recommend the Explorian E310 model. It is just as powerful as the other models and you will not lack at all in the quality of blends that you can achieve. There is nothing, blending-wise, the Explorian can’t do that the other machines can. It is an absolutely amazing machine at an outstanding price. Now that we have gotten this far, I’m going to answer a few of the frequently asked questions I get when people are thinking about purchasing a Vitamix. Should I buy a Refurbished Vitamix Blender? One word. YES. The Vitamix reconditioning process and inspection process is incredibly thorough. They will absolutely not let a blender be sold as “reconditioned” unless it meets the highest Vitamix standards that are applied to new blenders. Here are a few benefits of buying reconditioned. 5 year warranty. When I saw that even the reconditioned blenders came with a 5 year warranty, I knew that was the way I was going to go when I purchased my first machine. Any company that guarantees a reconditioned product for that long must have great confidence in it’s ability to perform. PRICE! The prices of reconditioned machines absolutely cannot be beat. They are lower enough than the new machines that it really makes purchasing them worth it! I mean, look at the 780, new it is 719, and reconditioned it’s 399! For the exact same machine. The whole package. Even when purchasing a reconditioned Vitamix blender, you still receive all the components you would when buying a new model! Every Certified Reconditioned Machine comes with a brand new cookbook package, container shell, two-part lid, and tamper! How much is a Vitamix? 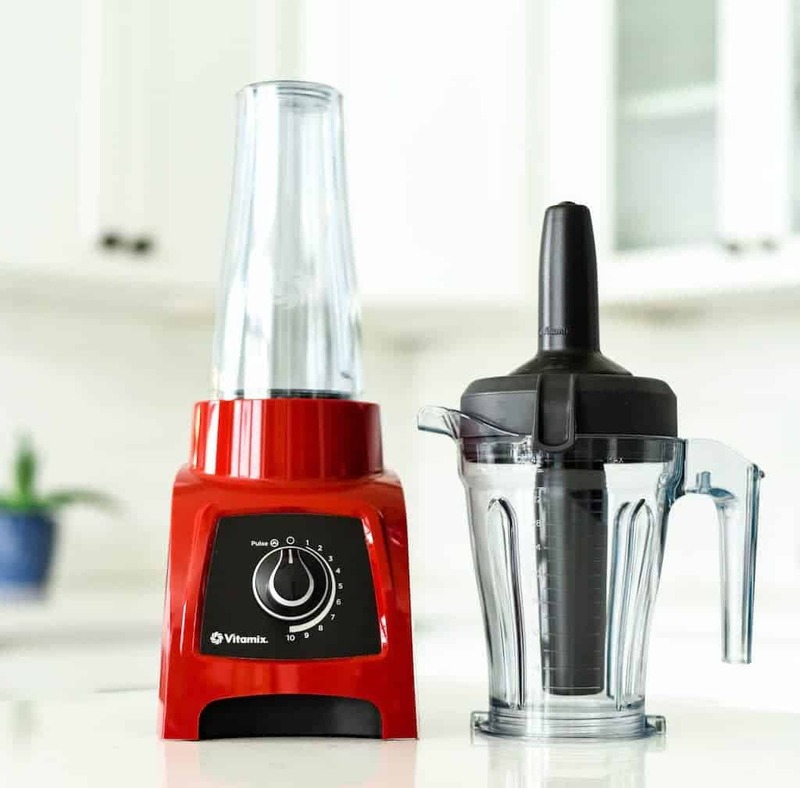 As you have seen in this post, a Vitamix blender ranges from $289 to $719 depending on the model you chose and wither or not you purchase a refurbished Vitamix or a new model. Can you use the Vitamix as a juicer? Whole Food Juices. with the Vitamix you can make juice out of the entire fruit or vegetable. This means you ingest more fiber and nutrients which is always a good thing in my book. Less waste. I used to cringe at all the wasted vegetable and fruit parts leftover from juicing. Well that is not the case with a Vitamix (which uses the entire fruit and vegetable). You can still filter the juice. 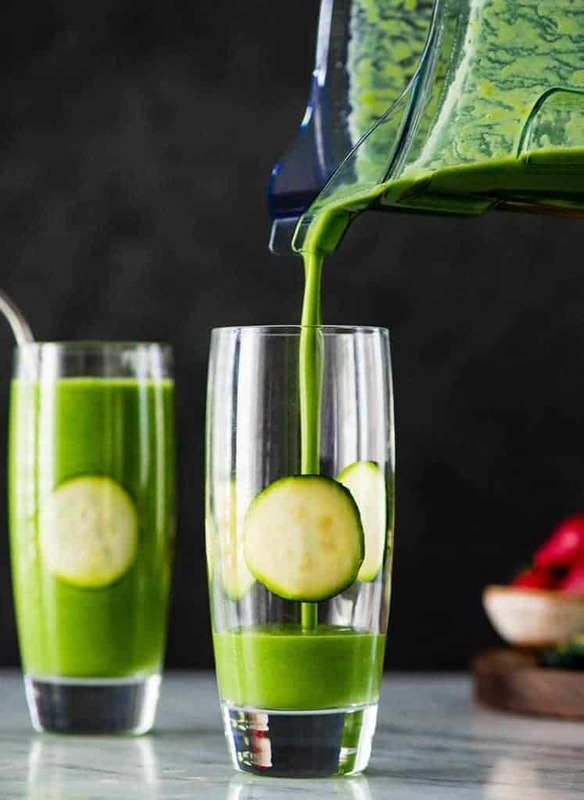 If you would like a smoother juice without pulp, you can use the Vitamix and then strain the juice with a fine mesh strainer or filtration bag. That way you still only need one appliance and not two! Where to buy a Vitamix? (Should I buy a Vitamix at Costco)? I believe that there is only one, best place ot buy a Vitamix and that is…. Sure you might think you can get a better deal at Costco or a different store, but I can’t recommend anything other than buying directly from the source. 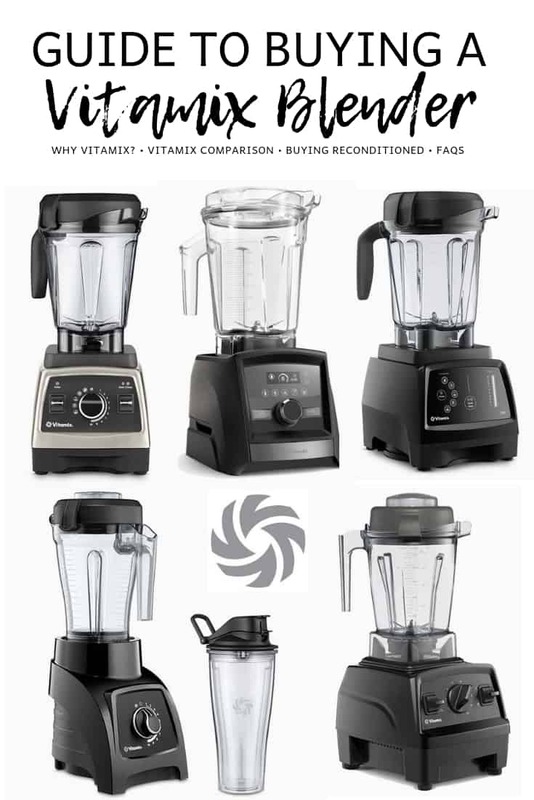 Vitamix is constantly running sales and promotions through their websites that make their prices just as competitive as big box retailers like Costco. Also, the Vitamix customer service and warranties simply cannot be beat. They stand behind their products 1000% and will help you with any and every problem you may encounter. They even offered to send me a new tamper when I broke mine and it was totally and completely my own fault (and no fault of the machine). I declined and bought my own out of principle, but they would’ve happily replaced it with no fuss at all! What can you make in a Vitamix? Oh my word the possibilities are ENDLESS. As I have said before, I use my Vitamix at least 3 times every single day (and I am not exaggerating). Go to my Vitamix Recipe Index for all of the recipes that are on my blog that I make in my Vitamix! I literally drink this every single morning. My favorite. For the first time, our little guy helped make our everyday green juice this morning. Orange — okay, drop it in. Apple — okay, drop it in. Best comparison. I like the vitamix blender professional series.